Every autumn makes me rewind to those hazy days when we sisters were equally interested in relishing the wood apple and togetherness while chatting in the afternoon on Bengali festival holidays and pre-winter days mainly in the post durga puja interlude. The Koth Bael [Limonia acidissima] fruit looks similar in appearance to the fruit of Bael [Aegle marmelos]. It has a very hard rind which can be difficult to crack open, and contains sticky brown pulp and small round white seeds. Its unique and overpowering aroma can easily hide any other smell after opening the shell. To those unfamiliar with this fruit, its strong captivating scent may make the predictive taste of the item an object of utter curiosity. The scooped-out pulp from its fruits is eaten uncooked with or without sugar or is combined with coconut milk and palm-sugar syrup and drunk as a beverage or frozen as an ice cream. It is also used in chutneys and for making jam. The common names of Limonia acidissima include: English: Wood Apple, Elephant Apple, Monkey Fruit or Curd Fruit, Assamese: Bal, Bael বেল, Bengali: Koth Bael কদবেল, Gujarati: Kothu, Hindi: Kaitha, Kath Bel or Kabeet, Javanese: Kawis or Kawista, Khmer: Kvet, Kannada: Belada Hannu or Byalada Hannu, balulada hannu, Malaysia : Belingai, Malayalam: Vilam Kai, Marathi: Kavath, Oriya: Kaitha or Kaintha, Sanskrit: Billa, Kapittha, Dadhistha, Surabhicchada, Kapipriya, Dadhi, Puṣpapahala, Dantasatha, Phalasugandhika, Cirapakī, Karabhithu, Kanṭi, Gandhapatra, Grahiphala, Kasayamlaphala. Sinhalese: Divul, Tamil: Vilam Palam, Telugu: Vellaga Pandu. Take a nonmetal bowl, mix all the ingredients well, cover with a lid and leave for approx 10 minutes. Now the catching smell will not let you wait anymore. Enjoy the relish. 1. L. acidissima, considered to be a hepatoprotectant, possess different biological activities namely adaptogenic activity against blood impurities, leucorrhoea, dyspepsia and jaundice. Traditionally, all parts of the plants are given as natural medicine as a cure for various ailments. It is very often used against snakebites. 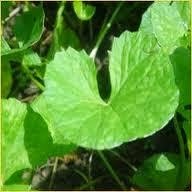 People use it as a tonic for liver and heart, in diarrhoea and dysentery. 2. Juice of young leaves is given as a remedy for biliousness and intestinal troubles of children. Oil derived from crushed leaves is applied on itch and leave decoction is given to the children as an aid to digestion. This fruit is considered to be an effective treatment for hiccups and for problems of throat and gum. 3. The pulp is applied onto bites and stings of deadly insects. It is also protective against skin cancer as it can block UV rays. A paste Thanaka', prepared from the pulp of L. acidissima. is used as a face cream to remove small spots and lesions on the skin. 4. The pleasing taste of this fruit and the highly nutritive values it possesses in the form of a cheaper and seasonal availability should be preserved for human consumption for the masses throughout the year as jam and fruit bar. 5. In the view of commercial production of Wood apple and the realization of the various virtues of the fruit should be taken in view. 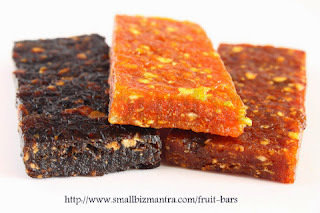 It is rich in acid, minerals and pectin, has a chewy texture, similar to dried raisins, good source of dietary fiber and natural sugar, one can prepare single fruit jam or it can be itemed from a combination of two or more fruit jam as well as bar. Kait, known as the 'poor man's food' in rural India, is neglected today because of ignorant policies regarding its cultivation. It is time to rediscover its full value. Ingredients:- Wood apple 1 Kg, Water , Sugar 750 gm, Pectin 1 gm, Citric acid 1 gm. Select fully ripe wood apple. (Sweet smelled). Weigh it and then wash it by potable water. Then break it by impact force and take fleshy part of wood apple. Cook it until it become soft. Then sieve it through muslin cloth or jelly bags. You will get clear wood apple water extracts. Addition of sugar, citric acid and pectin. Now take wood apple water extracts 1kg & keep it on stove . When it starts to boil add sugar [750 gm] as given in recipe. If you have Hand refractometer , then 680 Brix value shown by hand refractometer is end point of jelly. If you take some drops of jelly in a cold water plate, it becomes soft ball then jelly. At temperature 1040C Jelly sets well. When jelly formation reach the end point, then stop heating. Then pour it into flat plastic box or packaging container and keep it for setting. After setting we can cut jelly in desire shape chocolate packaging.